September 26 is World Contraception Day. For more than 25 years, my professional and personal mission has focused on helping women and couples across the world have the ability to decide whether, when and how many children to have. I strongly believe in the importance of increasing access to voluntary family planning, because the evidence is so clear. Enabling women and men to plan their families, results in multiple health, economic and social benefits for families, communities and nations. On September 26, 2013, World Contraception Day draws attention to the fact that more than 222 million women in the developing world say they want to delay or avoid pregnancy but are not using a modern method of contraception. Everyday an estimated 800 women lose their lives in pregnancy and childbirth. Voluntary family planning could reduce these deaths by 30 percent and save the lives of more than 1.6 million children under five each year by enabling women to delay first pregnancy, space later pregnancies at safe intervals, and stop bearing children when they have reached their desired family size. As the world’s largest bilateral donor of family planning, USAID is committed to expanding choice and access to a variety of contraceptive options. The ability to make important decisions about childbearing is one of the most basic human rights. Improving access to voluntary family planning information, products, and services is a necessary ingredient to helping women care for their families, participate in their communities, and build their countries. 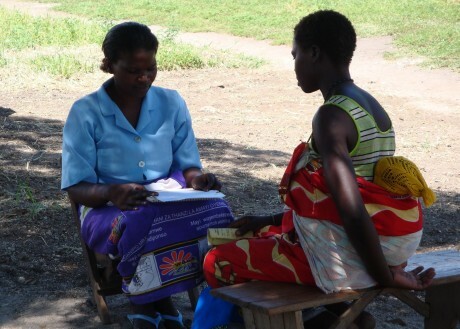 Learn more about USAID’s work in family planning. That’s funny, for 25 years I too have been working to empower women to better health and choosing the best method of family planning. I have been working to educate women to postpone sexual activity until they are in a married committed relationship. I have instructed women to use natural forms of family planning. This in turn empowers women to value their fertility. You want to give women better health and yet you poison their system with cancer causing chemicals, chemicals that are known to cause blood clots leading to death. Teaching women to appreciate their fertility and work with their natural signs to plan their family…that is better health and eduction of women.